Comment on Wang M, Wu K, Zhang P, et al. “The prognostic significance of the Oncotype DX recurrence score in T1-2N1M0 estrogen receptor-positive HER2-negative breast cancer based on the prognostic stage in the updated AJCC 8th edition”. 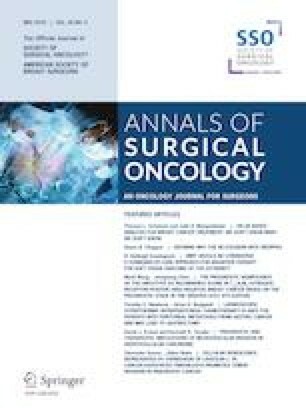 The recently revised 8th edition of the American Joint Committee on Cancer (AJCC) breast cancer staging system acknowledged the prognostic and predictive significance of underlying tumor biology by incorporating tumor grade, estrogen receptor (ER), progesterone receptor (PR), and HER2 receptor status into a pathologic prognostic stage.1 In addition, based on the initial report of TAILORx (Trial Assigning Individualized Options for Treatment [Rx]), the committee revising the staging system took the bold step of incorporating genomic assays. Specifically, patients with ER+, HER2−, node-negative breast cancer with an Oncotype DX recurrence score (RS) < 11 enrolled on TAILORx had a 5-year distant recurrence-free survival of 99.3% with adjuvant endocrine therapy alone.2 Based on this, the AJCC staging system added the modifier that any patient with T1-2N0, ER+, HER2- breast cancer and a RS < 11 would be assigned pathologic prognostic stage IA disease.1 The committee acknowledged this is a rapidly evolving field and emerging data evaluating other assays and clinical scenarios would need to be evaluated to inform subsequent staging system revisions. After a median follow-up of 57 months, there were significant differences among RS risk groups with respect to breast cancer-specific survival (BCSS) and overall survival (OS). Multivariate analysis showed that both RS risk group and the AJCC pathologic prognostic stage were independent prognostic factors for BCSS and OS. When analyses were limited to patients with low-risk RS, there were no differences in BCSS or OS among the different pathologic prognostic stages. In contrast, for intermediate RS patients, there were significant differences in BCCS and OS when evaluated by pathologic prognostic stage. Conversely, for patients with pathologic prognostic stage IA disease, there were significant differences in BCSS and OS by RS, which appeared driven primarily by the high RS patients having poorer survival.3 The data presented therefore support consideration be given to using RS to modify the pathologic prognostic stage for patients with ER+, HER2-, node-positive disease similar to the modification for patients with node-negative disease. 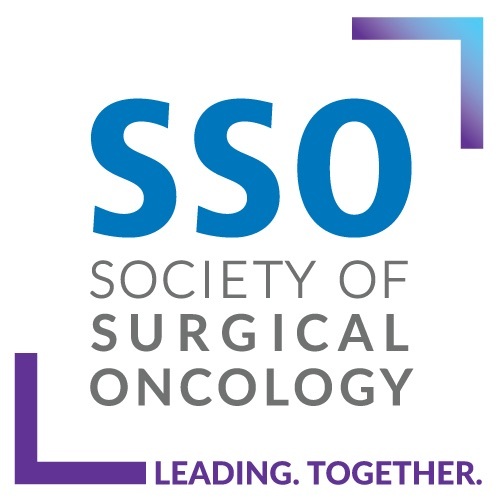 Consideration for incorporating RS testing into staging for ER+, HER2-, node-positive breast cancer is further supported by work presented by Hortobagyi and colleagues at the 2018 San Antonio Breast Cancer Symposium (SABCS).7 That study utilized the SEER database to establish BCSS in patients with ER+, HER2−, N0, N1mic, and N1 disease in whom RS data were available. They identified 80,605 patients treated from 2004 to 2014, including 70,087 who were N0, 4335 N1mic, and 6182 N1. The median follow-up was 49 months and more than 20,150 patients were followed for longer than 76 months. Perhaps the most interesting finding in their analysis was that for patients with a RS < 18, the 9-year BCSS was > 97% regardless of nodal status. Because a cutoff of 18 was used, these data differ from the TAILORx data that informed the decision to stage all ER+, HER2−, node-negative breast cancer patients with a RS < 11 as pathologic prognostic stage IA. However, the observed BCSS rate > 97% regardless of nodal status provides further evidence of the importance of tumor biology over anatomic extent of disease, particularly for patients with early-stage disease, thereby supporting further investigation into modifying the pathologic prognostic stage using the RS in node-positive patients. As the authors of the current manuscript conclude, further research with longer follow-up is required to determine fully the impact of the RS in patients with node-positive breast cancer. The RxPONDER trial, which enrolled patients with 1–3 positive nodes and randomized those with a RS ≤ 25 to either chemotherapy plus endocrine therapy or endocrine therapy alone is a prospective effort that will provide additional data to answer this question.14 The trial completed accrual in 2015, and results are highly anticipated. However, there is concern that this cohort may be biased toward a lower number of positive nodes, and we will remain uncertain as to the validity of the RS in patients with higher disease burdens. In the meantime, many oncologists are beginning to incorporate RS testing for node-positive patients into their practice. A recently published study of node-positive patients identified in the National Cancer Database between 2010 and 2012 found that the RS had been ordered for 16.5%.15 In our program at the Dana-Farber/Brigham and Women’s Cancer Center, we routinely order RS for patients with T1–2N1 disease of any grade as part of our reflex testing program whereby the surgical specimen from patients in whom the RS results would inform adjuvant therapy treatment recommendations is sent for RS testing by the surgical team as soon as the pathology report becomes available.16 Decisions regarding recommendations for chemotherapy are then made based largely on the RS versus being driven by the patient’s nodal status. Level 1 evidence may be required before the AJCC breast cancer staging system will be further revised to incorporate genomic assays into staging node-positive patients. The RxPONDER trial will provide that data. In the meantime, the preponderance of evidence supports routine testing of patients with 1–3 positive nodes and considering endocrine therapy alone for those with a RS < 18. As we await the prospective trial results, perhaps we should consider other questions that can be addressed using genomic assays to differentiate the impact of biology versus the anatomic extent of disease to include determining the utility of these assays in patients with even greater nodal burden and in informing local regional therapy. EAM has no relevant disclosures but does report having received compensation for participating in scientific advisory boards for Amgen, Astra-Zeneca, Genentech/Roche, Merck, Peregrine, SELLAS, and Tapimmune. TAK has received honoraria as a speaker and for participating in scientific advisory boards for Genomic Health. Wang M, Wu K, Zhang P, et al. The prognostic significance of the Oncotype DX recurrence score in T1-2N1M0 estrogen receptor-positive HER2-negative breast cancer based on the prognostic stage in the updated AJCC 8th edition. Ann Surg Oncol. 2018. https://doi.org/10.1245/s10434-018-7068-3. Petkov VI, Miller DP, Howlader N, et al. Breast-cancer-specific mortality in patients treated based on the 21-gene assay: a SEER population-based study. NPJ Breast Cancer. 2016;2:1607. https://doi.org/10.1038/npjbcancer.2016.17. eCollection 2016. Stemmer SM, Steiner M, Rizel S, et al. Clinical outcomes in ER+ HER2− node-positive breast cancer patients who were treated according to the Recurrence Score results: evidence from a large prospectively designed registry. NPJ Breast Cancer. 2017;3:32. https://doi.org/10.1038/s41523-017-0033-7eCollection2017. Tamoxifen Citrate, Letrozole, Anaastrozole, or Exemestane with or without chemotherapy in treating patients with invasive breast cancer (RxPONDER). https://clinicaltrials.gov/ct2/show/NCT01272037. Accessed 29 Dec 2018.